Starting today, Instagram now introducing a fun way to go live with a friend. Now, you can hang out and go live together, whether you’re just doing homework or catching up on your day. 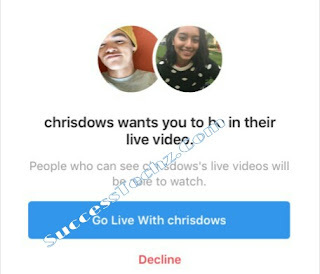 The new Instagram Live video helps you share in an authentic way, and of course, you can also a guest while you’re broadcasting. Simply tap the new icon on the bottom right and tap “Add” to invite anyone who’s currently watching. Once they join, you’ll see the screen split into two and your friend pop up right below you.